I have been thinking for a while that it is time to change it up. I loved the idea of having panel of experts on at the same time, I just needed a topic that would allow it. Recently on my personal blog, I wrote about why runners need to cross train, even if they are not injured, and it got me thinking about cross training more and more. Until recently I was scared to cross train, I thought I was too good to cross train, and I associated injury with cross training. We hear the experts telling us how important it is, and even the womens soccer World Cup Champions were multi-sport athletes before they focused on Soccer (the article is below). So why do we as runners not want to listen? If you are like me, your excuse was that you love running. You do not WANT to do other forms of exercise. However, now I am in a routine of doing it every week, I find I actually enjoy it. Hopefully by the end of this episode, you will be prepared to give it a try, and see the results for yourself, especially as we have given you different ways to do it, and you know you will be a stronger runner for it. So why is this a special edition? We have three guests for you; including one American Record Holder, two sub 4:00 milers, and one coach to Olympic athletes. Now focusing on triathlon with goal of competing in Rio 2016. Or download the Full Audio MP3 to listen to on any device (Android and Windows) on your next run. May we Ask You For a Favor? Thank you again for listening to the show. 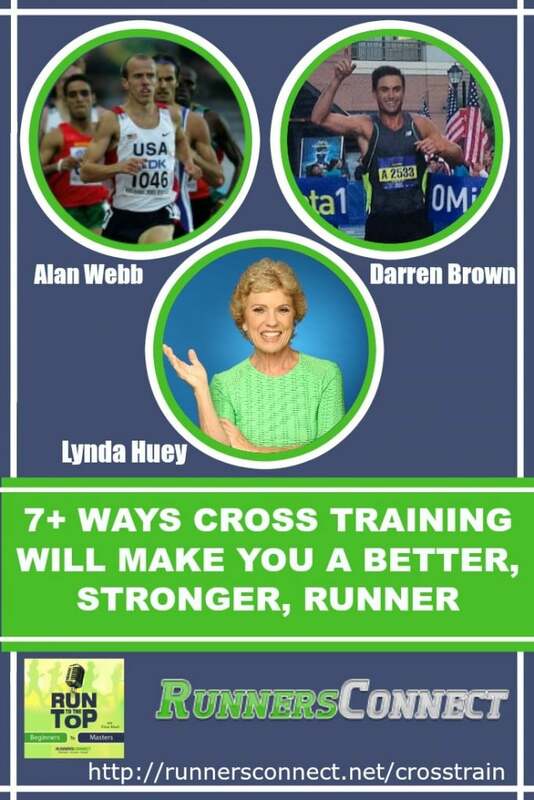 If it has helped you in any way or you know another runner who could benefit from what we talked about today, we would really appreciate if you would share it using the social media buttons on the side of the page. We would love if you could leave a review for the podcast on iTunes for us. It would really help us grow. Here is a YouTube video demonstration of exactly how. Thank you! 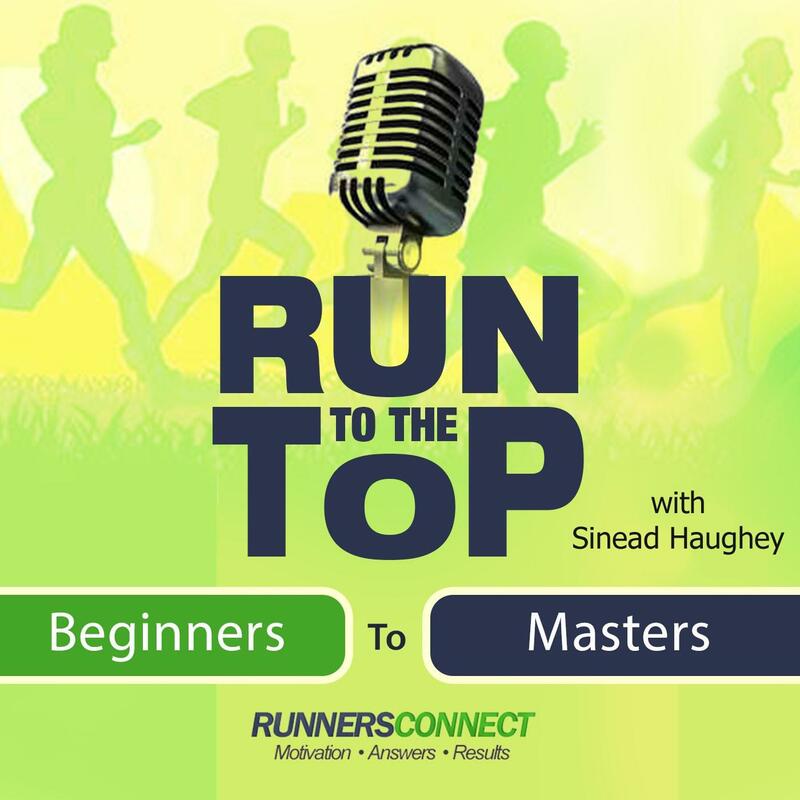 And lastly, if you have any questions you can email tina@runnersconnect.net or leave us a voice message at (617) 356-7969 or click the voice message button on the right side of the page. Short version with swimming: it’s the resistance. One of the key reasons for swim workouts being (largely) interval driven, as Alan mentioned, regardless of energy zone and also why athletes are so hungry after a swimming workout is due to the resistance imparted by the water while swimming. Swimming pool water is about 750-800x more dense than air. Adding resistance requires more energy and strength along with forcing the athlete to employ sound technique. In swimming, if your technique is poor then you’ll likely experience flailing (vigorous white water splashes from flawed strokes), breathing difficulty, swallowing water, and having a miserable time. The lousy body position from poor technique also puts stress on joints and muscles leading to a host of issues all ending with injury and time off. Sounds like running…. Even with great technique from years of competitive swimming, resistance still affects the body and it takes many years of consistent, injury-free training to develop the swimming muscles and endurance to handle repeat 200s, 400s, 800s; interval sets at these distance would be reasonably equivalent to 800, 1600, 3200 in running. Interval sets at those distances in either sport are challenging for many. So, you’ll see a lot of swimming interval-based sets at the 25, 50, 75, and 100 distance in a short course pool or at the 50 and 100 distance in a long course pool. A lot of that will be aerobic, but, as Alan said, it’s easier to incorporate various threshold or max effort sets in swimming workouts to tap into all energy zones in a single workout daily or in doubles, if you’re at that level. Because of the resistance and necessity for proper technique, a lot of time is spent working on drills (i.e. “form swimming” — swimmers never use this term) to reduce the probability of imparting stress on muscles and joints. Of course, proper and repeated “form swimming” also leads to increased swimming stroke economy, faster times, and reduces the probability of injury. Like running. Finally, the resistance is the primary reason why paddles and fins are not used much with swimmers younger than high school age; despite the increased propulsion and speed with proper technique, paddles and fins increase the surface area of the hands and feet. More surface area, more resistance, more weight with fins, more stress, more effort, and so on. Even in high school and after the body has finished growing, mindfulness is key when adding resistance while swimming.